Gravel crunched under the tires as we pulled into the small parking lot. I don't even know that you could really even call it a parking lot-- it was more like a little dirt patch right by the road. The church was adorable- like something off a Christmas card-- traditional white clapboard, the quaint steeple pointed to the sky. It looked like it had been transplanted, amidst all the close-together houses and long-neglected businesses. 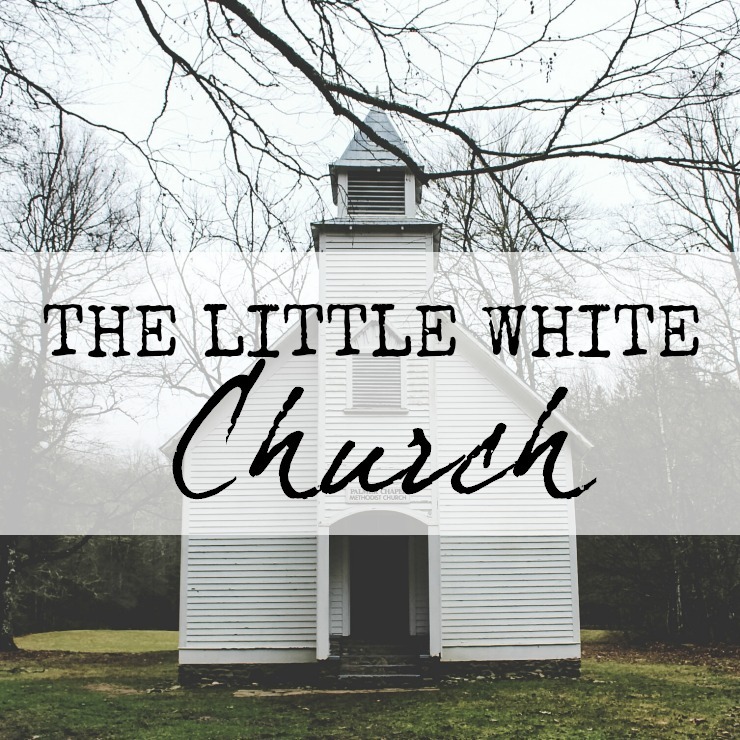 Everything around it needed paint, and the crisp whiteness of the church looked out of place. I'll be honest, I wasn't sure what to expect from this tiny little church in this tiny little town. Don't get me wrong- it's not like rural Iowa is bustling- but what kind of congregation could come out of a one-horse, run down village like this? We walked inside, and were immediately welcomed by the sight of cowboy hats, old ladies clasping hands in greeting, and a pleasant sort of old-wood smell. The door we walked into led directly into the sanctuary- no fellowship hall to speak of. In the bulletin, prayer requests were outlined- pray for Betty with cancer, for new baby Aspen- no last names needed. The entire assembly was about thirty people- only a handful of children- and nearly half of the congregation were wearing cowboy hats and boots. The technology didn't work, so the song lyrics never made it to the screens hanging above the worship band. The announcements were given piecemeal- one announcement from the associate pastor, a note from his wife, then one from a lady in the back of the church, and finished out with, "Well, I think that's all for today." The prayers were said without any sort of fancy language- they spoke to God as if He was their dear friend. Their number is small. They lack the polish and flash that our world values. They probably won't receive any accolades or show up in an issue of "Christianity Today." But oh, they love Jesus. They open the Word and wrestle through it. They sing even without the words on the projector screen. They pray for their community and the world. They ask what God wants of them, and then they work their best to do it. They give financially, from the heart. They start new missions and new ministries and equip their members and they pray for other churches because competition is silly and we're all on the same side. I didn't want to leave my church in Iowa. I'll admit that I was afraid that we wouldn't find a church home in this place. But God is so faithful. Again, He brought me to a place I didn't anticipate, to a church that looks nothing like what I thought it would, and He gives me nothing I expected, but more than I could ever have dreamed. So lovely! I've changed churches multiple times over the years. Life as a pastors wife I guess. But this is wonderful. Glad you found a wonderful little place to call home. My favorite post of the week. I grew up in a church similar to this. Oh, they love Jesus!